‘It’s OK’ to sacrifice your personal life in the name of obsession, says Oakley. Oakley has launched a beautiful film called ‘It’s OK’, which celebrates the many sacrifices athletes make in the pursuit of excellence. From sneaking out on loved ones in the dead of night to ditching friends on “powder days”, it’s all okay in the name of obsession. Created by AKQA Paris, the campaign strikes the perfect chord between being as light-hearted as it is unapologetic to everyone who is neglected, shouted at or lied to by their sport-obsessed partners and friends. 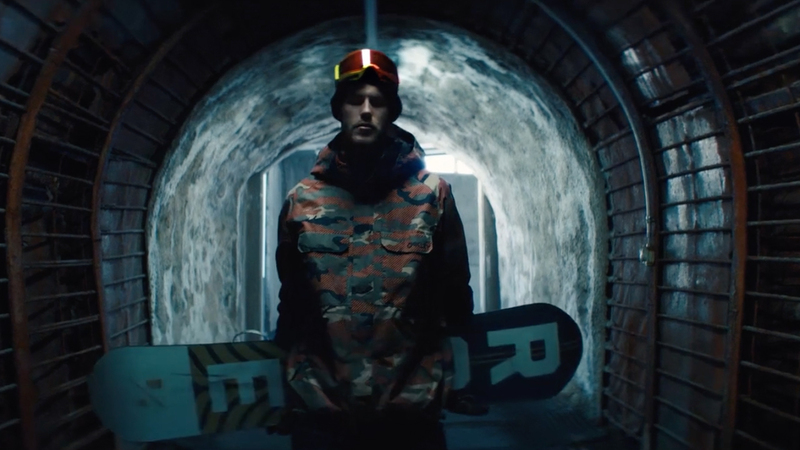 The campaign features athletes sponsored by Oakley, including Chloe Kim, Bubba Watson, Mark Cavendish, Ståle Sandbech and Mikaela Shiffrin, alongside amateur athletes, broadening its appeal. One of its most surprising elements is a “soaring big-band-soul anthem”, as described by AdWeek, which is quite unlike the high-adrenaline soundtracks usually heard in sports films and can now be downloaded on Spotify. Oakley has been around since 1975, and while it remains a leader in sport performance optics and holds over 600 patents, its fortunes have ebbed and flowed over the past decade or more. In the early 2000s, Luxottica triggered a decline in Oakley’s stock price by refusing to distribute as many of its products through Sunglass Hut stores, leaving Oakley with no choice but to merge with Luxottica Group in 2007. Many loyal Oakley customers feel the brand has lost its way since the Luxottica merger, while plenty of competing brands have emerged in the meantime, making Oakley seem passé by comparison. 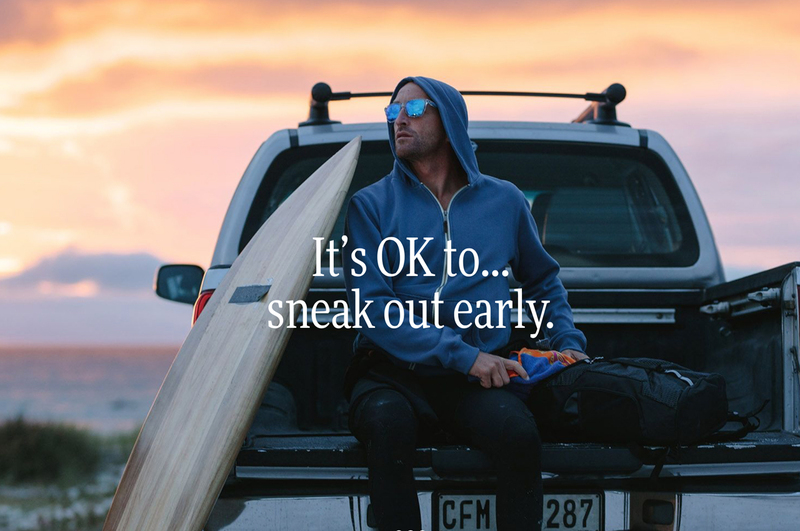 Will ‘It’s OK’ deliver the revival that Oakley (and Luxottica) needs? 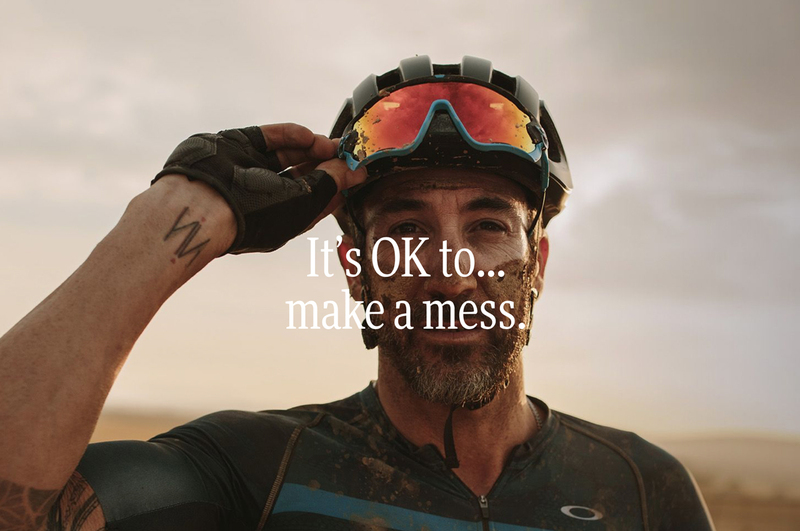 Over 14.5 million people have already seen ‘It’s OK’ on YouTube, which suggests Oakley’s turnaround is off to a flying start. Luxottica is no stranger to brand revivals, rescuing Ray-Bay from near oblivion after purchasing the brand in 1999, before taking it off the market for one year, then successfully relaunching Ray-Ban as a luxury brand with a much higher price tag. With revenues of €9.1 billion last year, Luxottica can afford to invest in world-class creativity as a company that controls 80% of all eyewear brands globally. Luxottica also controls its own retail network with over 7,000 stores worldwide, and the European Commission has just approved its merger with Essilor, the world’s biggest lens maker. 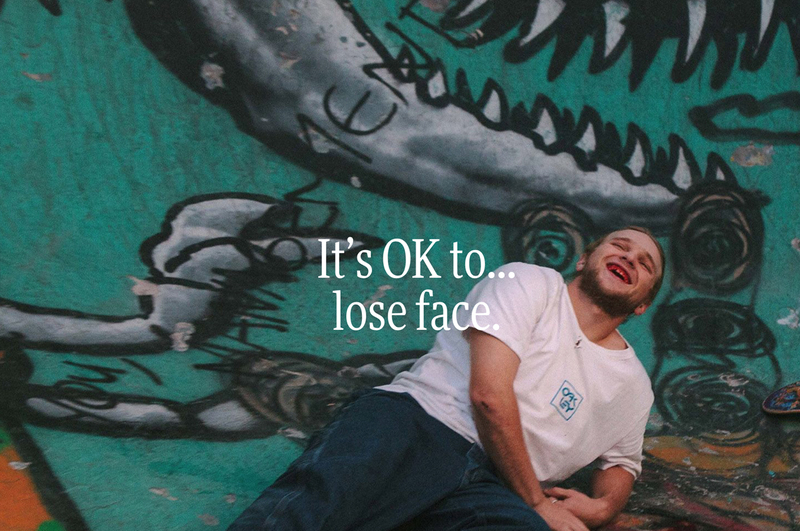 ‘It’s OK’ is part of Oakley’s ONE OBSESSION platform, which launched in 22 countries in 2015. The latest instalment is heavily backed by research, with Oakley commissioning Kelton Global to survey over 500 amateur athletes about their obsessions. The survey finds that 40% of employed athletes would rather excel at their sport than their job, 93% think about their sport at least once per day, while 47% have sacrificed friendships that were impeding their sports obsession. The survey gives Oakley the statistical nous it needs to justify questionable, selfish behaviours – like lying to our partners, or losing our tempers – knowing that sports-obsessed people will utterly relate. “We’re extremely excited about the next chapter of ONE OBSESSION as it gives us the opportunity to encourage dialogue among professional and everyday athletes alike,” explains Ben Goss, Global Marketing Director at Oakley. Even the film’s ending is charming: after a crescendo of blood, tears and sweat, it retreats to show a little boy on his bicycle in front of the television watching a motorbike race, showing that the seeds of obsession start young. – By giving athletes permission to pursue their sporting passions at all costs, Oakley is positioning its brand as a champion for the sports-obsessed – a clever tactic as a growing tribe of people globally seek meaning in sport and wellness. – Perhaps more importantly, Oakley reasserts its focus, passion and reputation on true performance-sport eyewear, a focus potentially lost by Luxottica’s exploitation and extension of the brand into active fashion eyewear. 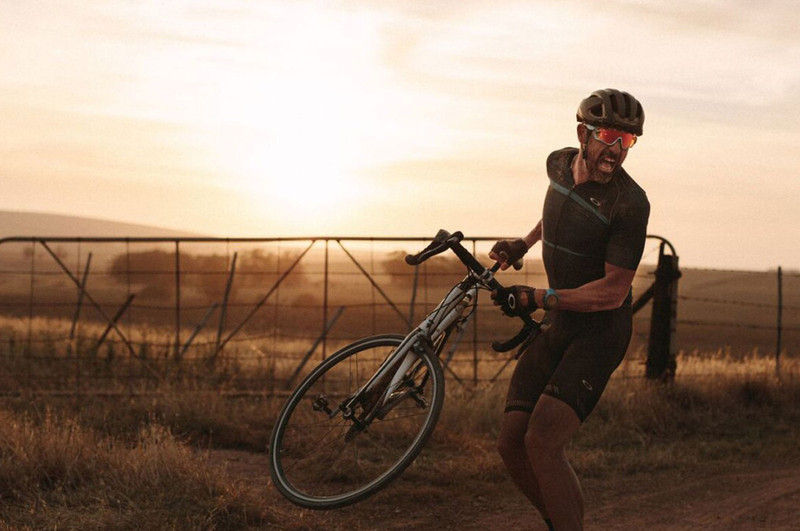 – The campaign features Team Oakley athletes alongside amateurs, which is a clever way of maximising appeal and connection. It also leverages the popularity of Oakley’s ambassadors, and will run year-long across social channels. – Composing an anthem for rule-breaking sports-lovers is clever strategically given many athletes train to music. Basing the lyrics on real stories gathered from everyday athletes also gives Oakley permission to defend questionable behaviour. – What’s yet to be seen is if Oakley can regain its street cred in the serious sports eyewear domain while meeting the demands of a fashion-focussed eyewear giant.